In two mixing bowls, whisk the dry ingredients, whisk the wet ingredients. Blend together and add chocolate. Please do not over-stir. 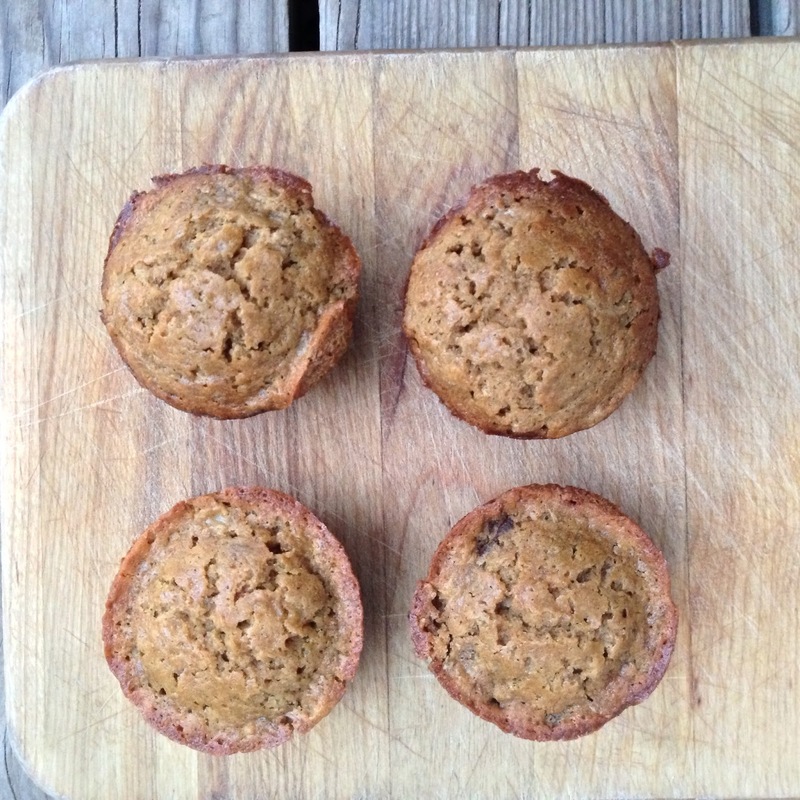 Scoop into greased muffin tins (I used coconut oil) for 20 minutes. Muffins are ready when the muffin is springy to the touch.